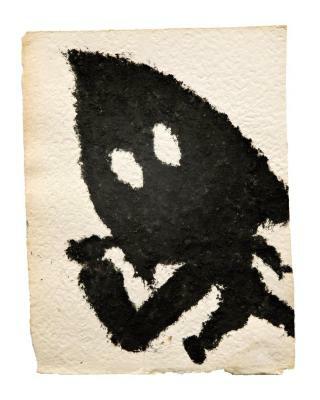 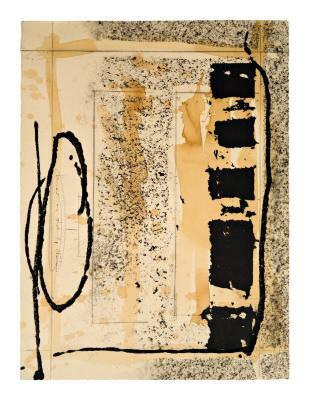 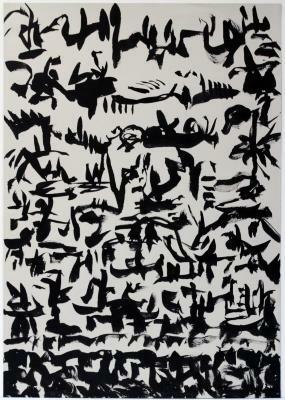 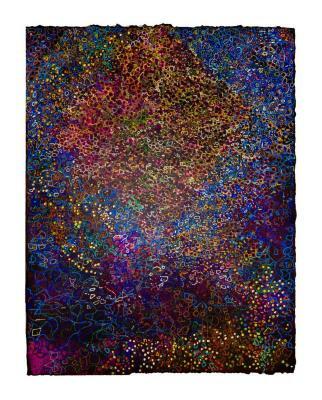 John Himmelfarb, Twelve Note, Ink on paper, 21.75 in X 29.75 in, 2001. 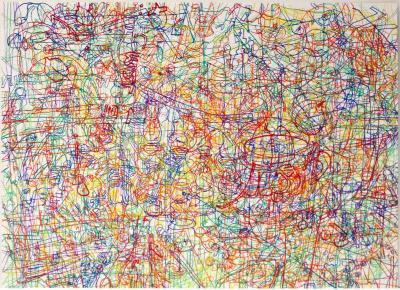 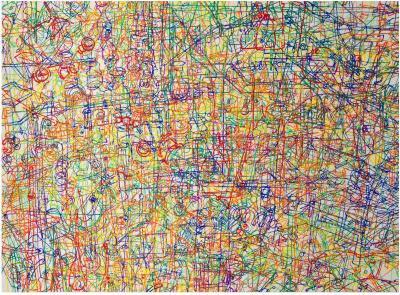 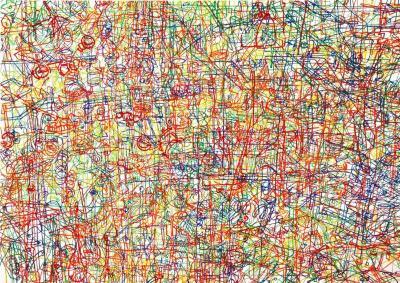 John Himmelfarb, Traduce, Ink on paper, 26 in X 20 in, 2001. 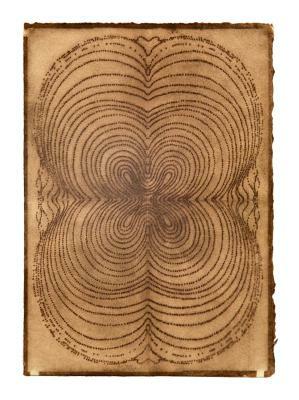 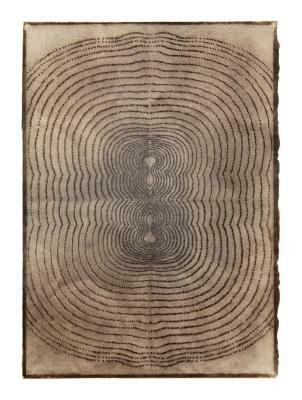 Gloria Holwerda-Williams, Untitled, Mixed media, 11.5 in X 8.5 in, 2006. 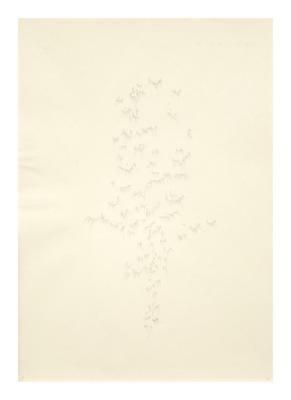 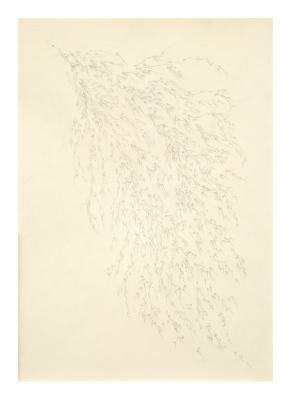 Nancy Manter, Avalanche Index #1, Ink on paper, 30 in X 22 in, 2006. 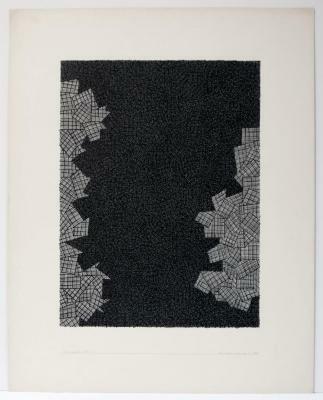 Morgan O’Hara, Live Transmission: Movement of the Hands of Anthony Braxton Quartet performing Ghost Trance Music #194 / The Knitting Factory / New York City / January 9, 1997, graphite on print paper, 22 in X 30 in, January 9, 1997. 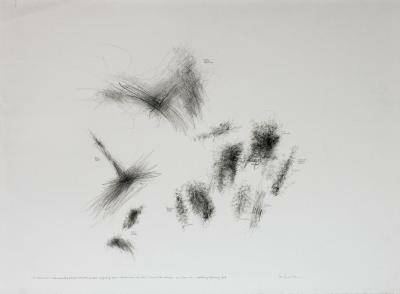 Debra Pearlman, Pregnant (Pause) 1, Drawing, 26 in X 20 in, 1998. 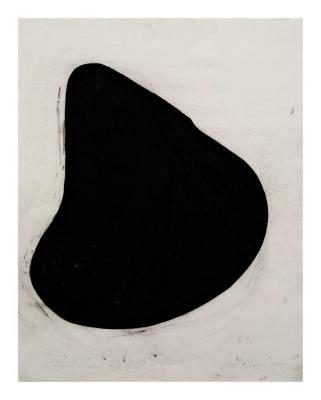 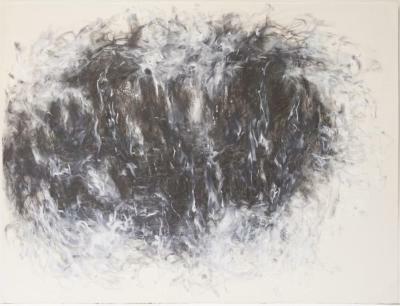 Gelah Penn, Splink #4, Graphite and acrylic, 20 in X 26.5 in, 2004. 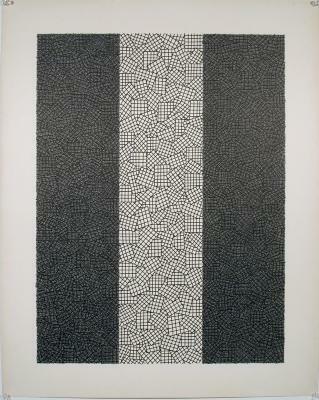 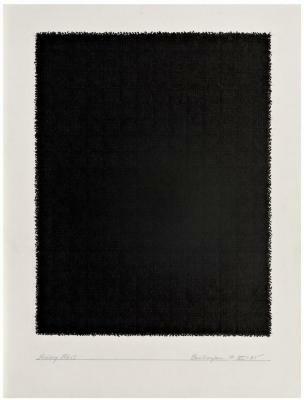 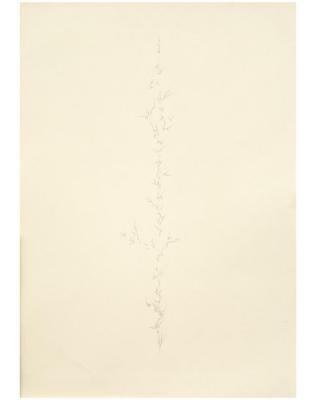 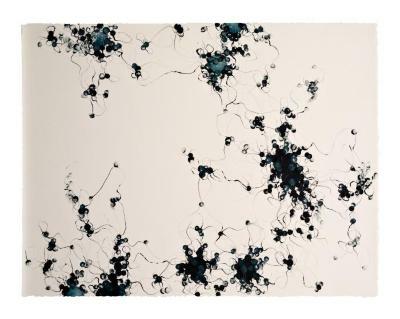 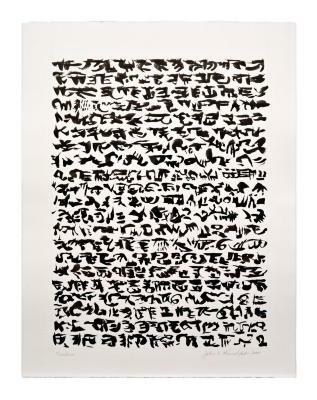 Gelah Penn, Colony Series #11, Graphite and Flashe on Paper, 22.25 in X 30 in, 1989 – 1990.